If you think an old chair is trash, you’re throwing away what could be a great starting point of your next DIY project! Because old chairs (whether broken or whole), are actually really useful. And I’m not just talking about re-painting or re-upholstering them and continuing to use them as seats. I’m talking about turning them into something totally different! 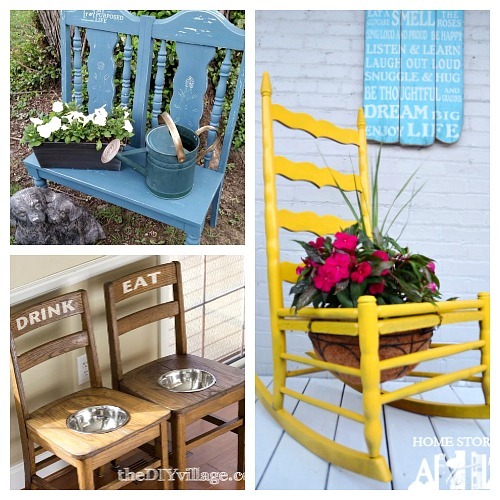 For some fun ideas, check out these 10 Clever DIYs That Repurpose Old Chairs! 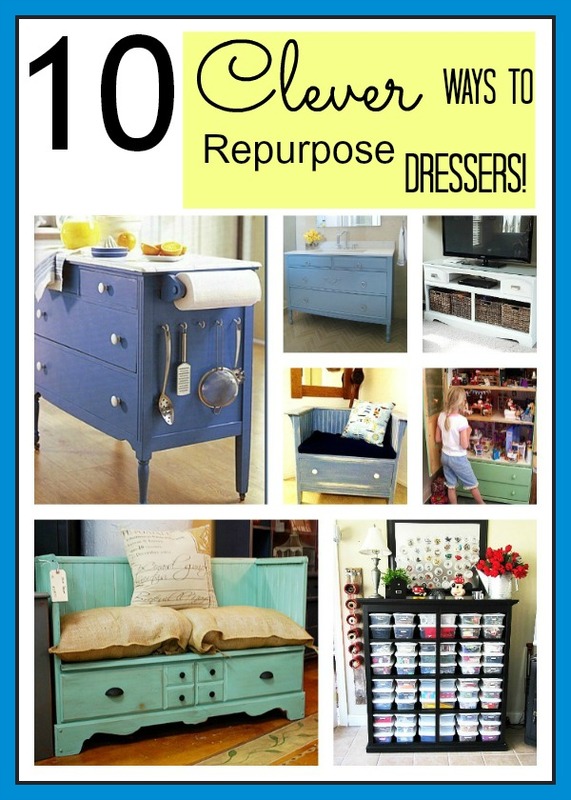 There are so many clever DIY projects that allow you to repurpose old chairs! And all parts of a chair are useful- from the seat back, to the seat itself, to the spindles, there are so many things you can make with all the parts of a chair! I don’t know about you, but there’s just something about upcycle projects that make me feel good. Maybe it’s the knowledge that I’ve saved one more piece of furniture from being added to the landfills. Or maybe it’s just the fun of turning something old into something new. Whether you like to repurpose old furniture for ecological or fun reasons, you’ll like these DIYs that repurpose old chairs! 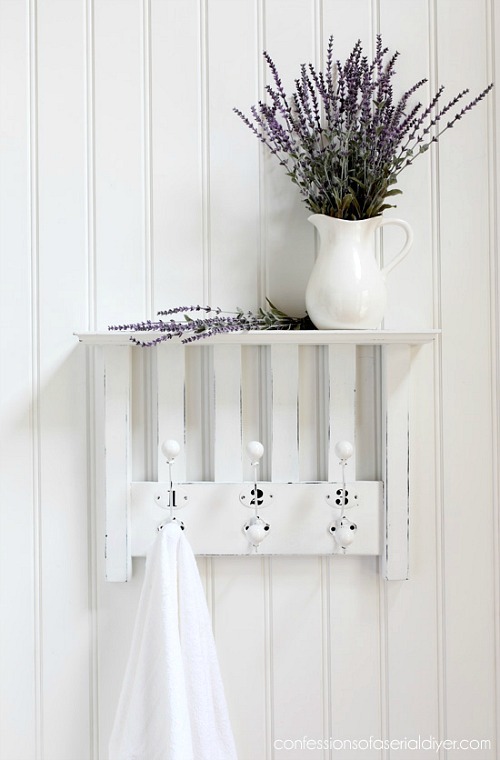 It’s hard to believe that such a pretty wall shelf used to be part of an old chair! Head on over to Confessions of a Serial DIYer to see how to make this repurposed chair wall shelf! Commercial garden benches can be pretty pricey if you want a nice one. So why not avoid the cost and make one yourself out of old chairs! 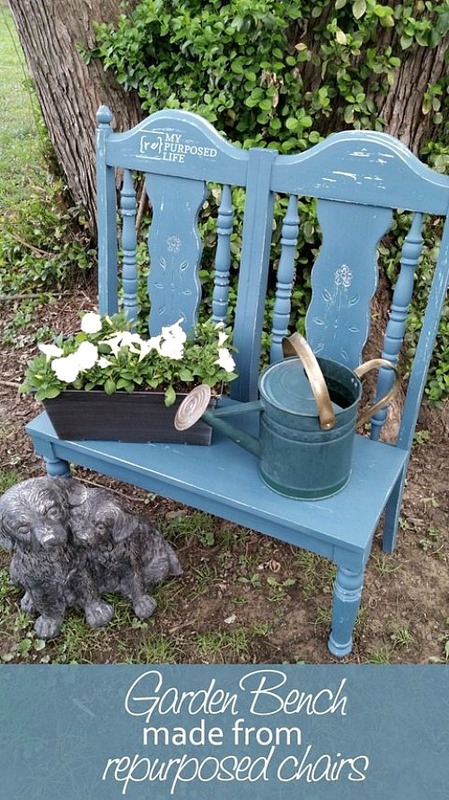 Take a look at how My Repurposed Life made this upcycled garden bench out of chairs! Imagine using this for your next BBQ or outdoor party! Not only is it handy, but it also looks great! 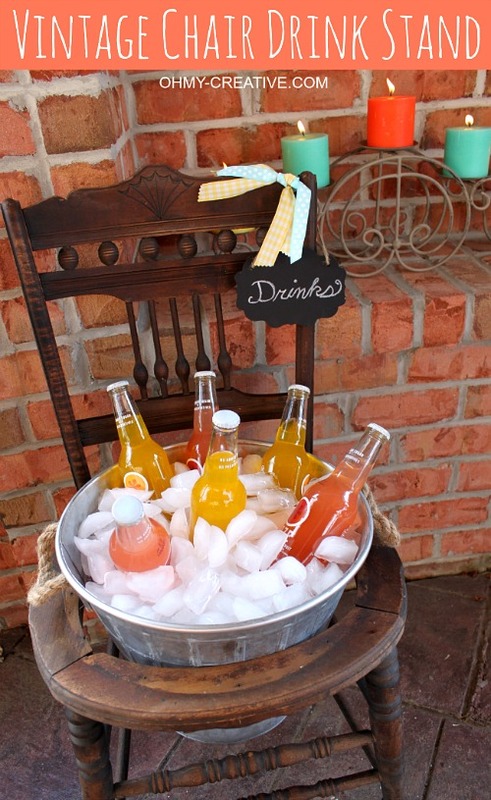 Oh My Creative explains how to make this ucpcycled chair drink stand! 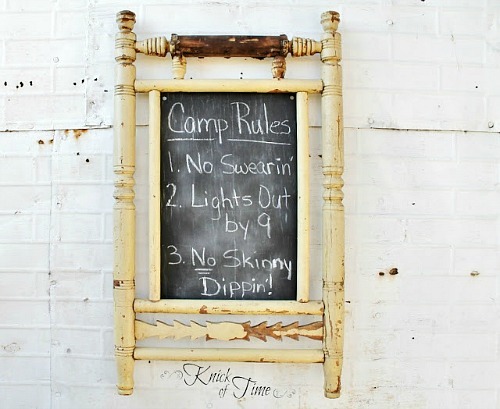 There are so many great projects in this post by Knick of Time, but my favorite is this upcycled sign made out of an old chair! Maybe you liked the idea of an upcycled chair bench, but you wanted to make one for inside your home, not for your garden. 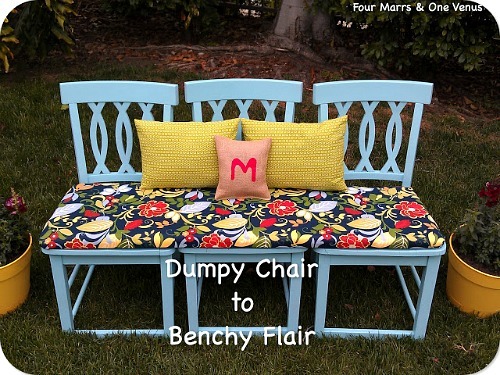 Then this DIY chair bench upcycle by Four Marrs One Venus is exactly what you’re looking for! You’ve probably seen a lot of versions of this DIY chair planter across the Internet. That’s because it’s a great idea, looks awesome, and isn’t that hard to do! 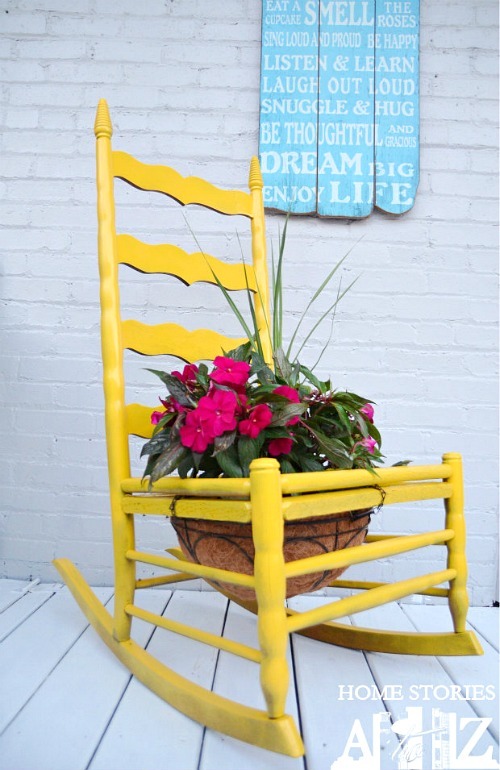 Head on over to Home Stories A to Z to find out how to make your own repurposed chair planter! Isn’t this clever! 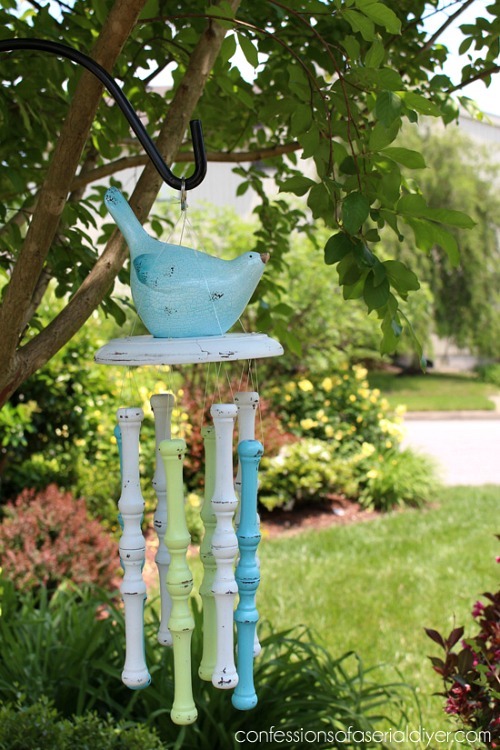 Take a look at how Confessions of a Serial DIYer used spindles to make a DIY wind chime! If you have a dog, an elevated feeding stations is a healthier way to feed your furbaby. But most of the decently priced commercial ones aren’t much to look at. 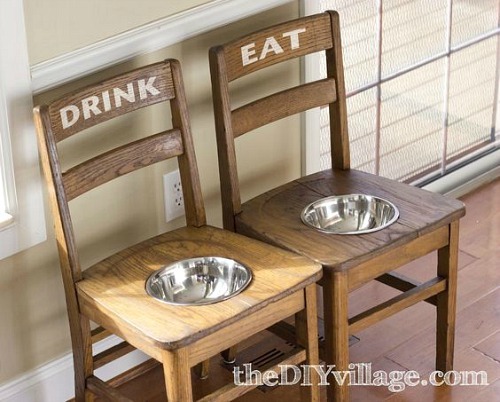 Give your dog a raised feeder with style by following The DIY Village’s tutorial and making these DIY Dog Bowl Chairs! Love the idea of using an old chair to make something for your dog? 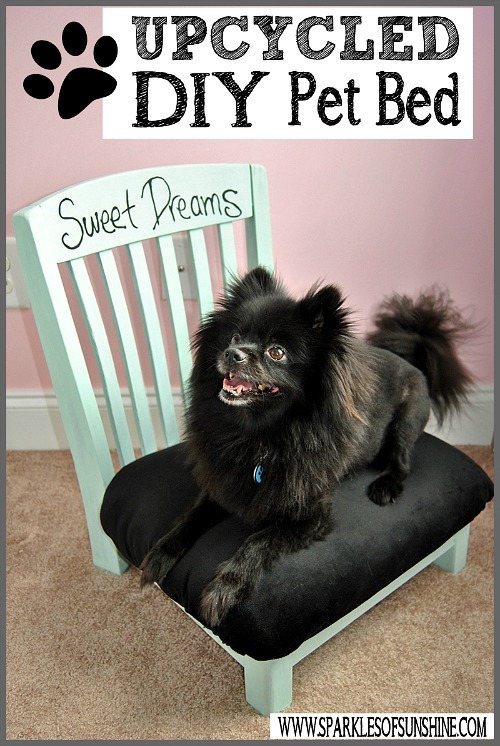 Then you’ll love Sparkles of Sunshine’s upcycled chair dog bed! This is such a great way to repurpose an old chair! 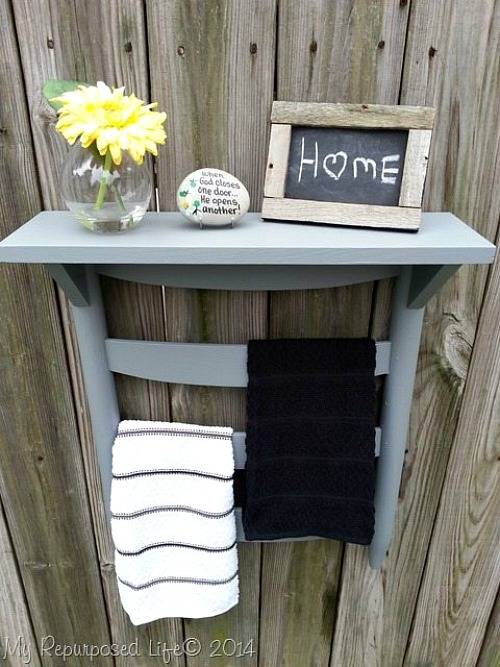 Take a look at how My Repurposed Life turned an old chair’s back into a DIY towel rack shelf! You can save a lot of money and making something really cute at the same time by repurposing old chairs! If you don’t have an old chair in your home, keep an eye out as you drive along. People are throwing them away next to their trash all the time. You might also want to check garage sales and Goodwill. If you check any non-Goodwill thrift stores, make sure you’re not paying too much. The idea isn’t to get an already beautiful (and pricey) vintage chair to repurpose. The chair you find should be inexpensive, and your DIY project should be what makes it extra pretty! Have you ever recycled an old chair in a DIY project?